You’re corporate brochures looks awesome! But how does it read? As a design firm we specialize in making your marketing items look good. We don’t just stop at how they look though. To maintain your professional image it is important for your text to be clean and accurate too. We know it’s really about how cool it looks, but some people do still read! If your budget is limited and you are writing your own copy, make sure you get another set of eyes to proof it. One of the first rules to learn is you can’t proof your own work. As independent as some of us are, there are times when another person’s insight is critical. As the writer, or designer we are often too close to the work to notice what are sometimes blatant errors others see right away. For your next project hire an editor or have a coworker proofread for you. 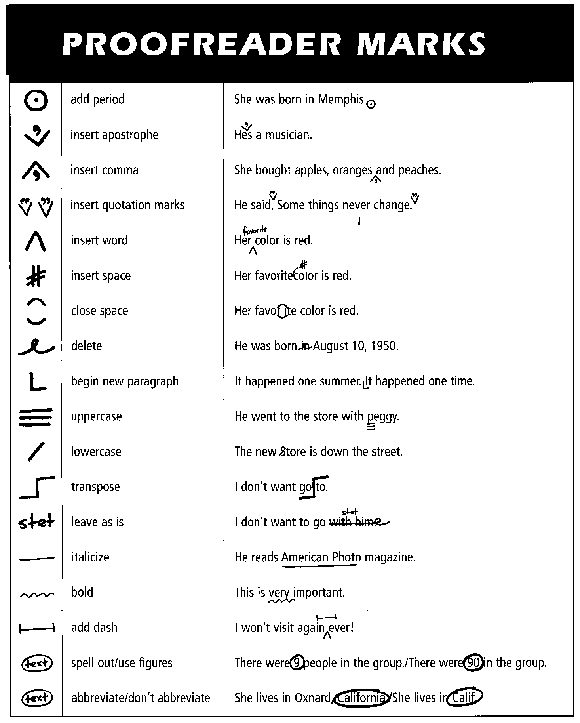 If you are not familiar with the shorthand proofreaders use to mark up your text be sure to take a look at the graphic below developed by Dynamic Graphics Magazine. Print it out and keep it for reference when needed. Dynamic Graphics Magazine does a great job offering tips to all levels of publishers. Previous PostHow many client proposals do you have out there right now?Next PostWHAT WOULD BUSINESS ROBOT DO?